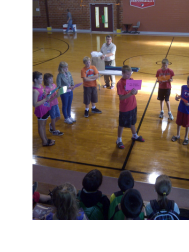 Several Fifth Grade students acted out the bully circle for Ainsworth students at our Friday Morning Assembly. This activity helps students understand that even if you are not the bully you might be thought of as a bully based on your actions. Laughing, spreading rumors as well as doing nothing supports the bully. If you see someone being bullied say "STOP" and REPORT to an adult. Mrs. Goodwin then read, Have You Filled a Bucket Today? 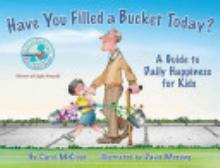 This book tells the story of how we can fill our own buckets and the buckets of others. 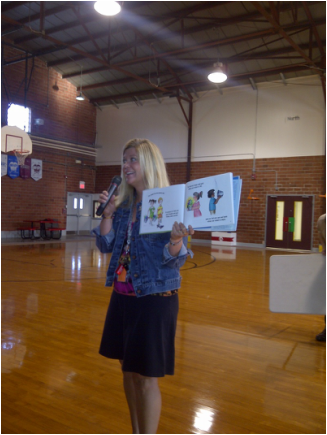 Ainsworth Elementary Students are Bucketfillers, Not Bullies! As December is upon us, I would like to update everyone on our progress with the anti-bullying program of Olweus. Every Monday, all staff and students participate in an Olweus classroom meeting. These meetings include teaching the critical components of Olweus including the four rules of Olweus, the bully circle and how to intervene and defend when someone is being bullied. 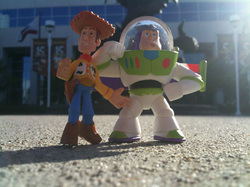 These lessons will also include character development, social skill training and some team building activities. If you child does report a bullying situation to you at home, please contact school and let us know. 1. The student is NOT friends with the person bullying him/ her? 2. Is this bullying behavior REPEATED over time? 3. Is there an imbalance in power between the two students? If you answer yes to all three of these questions, then it is most definitely a bullying situation, and school will intervene immediately. If it is not a bullying situation but a student is still feeling unsafe and upset, please know we will address that issue as well, but we wont classify it as bullying. 4. We will tell an adult at school and at home if we see someone being bullied. Please don't hesitate to contact your student's teacher or school administration if you have questions about Olweus and its program components.